We Can Gather to Remember Thursday. 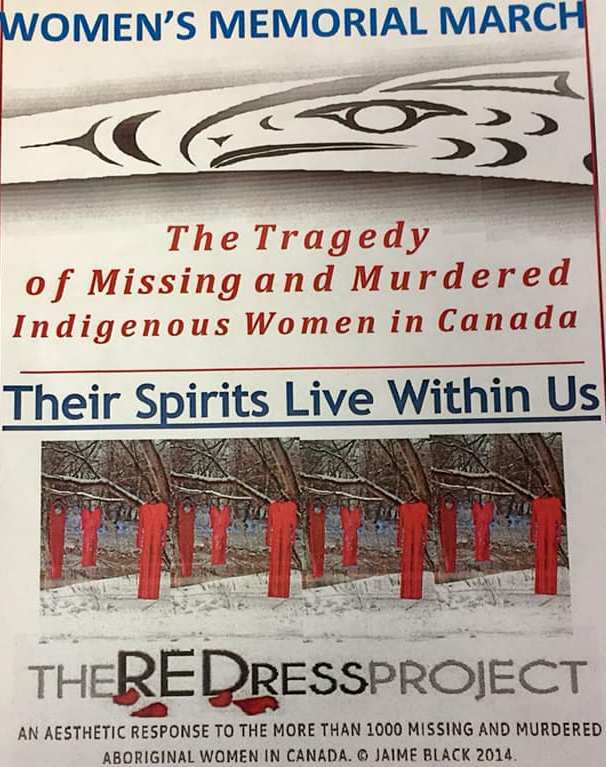 The Womens Resource Centre is holding their annual Womens Memorial March and Red Dress Project Thursday evening. The Center’s Colleen Arnold says they will meet in Pioneer Square to honor the lives of missing and murdered Indigenous Women and all women’s lives lost. She says they will have Jaime Black here. She explains Jaime Black is a Winnipeg based Metis artist who created the Red Dress Project which has a haunting visual effect aimed at drawing greater public attention to the issue of missing and murdered Indigenous women and girls. She says the dresses hanging in trees and down Main Street make for an eerie visual prompting people to wonder what they signify noting they inform people who are not affected and created a space for people who are affected to have their voices heard. Arnold adds on Wednesday Eagle Rose Healing Lodge will have the Red Dress Exhibit from 6 to 8, on Thursday the march will start at Pioneer Square at 5:15 ending at the Community Hall and on Friday the 15th a meet and greet will be held with Jaime at the Norva Centre from 7 to 8 pm.